Peter Truax – Peter is SharedGeo’s administrative assistant and general dogsbody. Peter is a graduate of Macalester College, where he majored in geography, and served as the chapter president of the Geographical Honors Society. Since graduating, he has worked in various administrative and technical positions, for such clients as Xcel Energy, the Metropolitan Mosquito Control District, and the Art Institutes International Minnesota. He enjoys getting lost on Wikipedia, and learning practical manual skills. 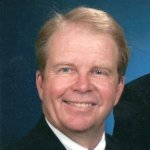 Phil Berg – Phil is a financial and business systems expert with over 30 years of diverse national level experience. He is also an expert on Sarbanes – Oxley compliance in both the financial and IT arenas. His project management and business analyst experience includes Electronic Resource Planning (ERP) systems integration issues, functional business requirements, and business process improvements. 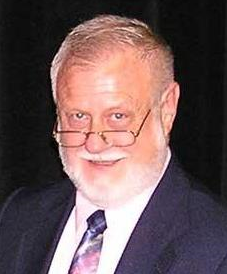 A retired CPA, Phil holds an MBA from the University of Dallas and an accounting degree from the University of Wisconsin – Madison. His previous nonprofit clients include Kaiser Permanente, National Association of the Self Employed (NASE), Rocky Mountain Institute, and the Denver Zoo. As SharedGeo’s financial and operations expert, Phil guides development of SharedGeo’s core business functions and operational controls. 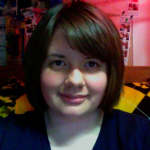 Shauna Basques – Pursuant in a Bachelor of Arts in English from the University of Iowa, Shauna works as a grant writer for SharedGeo. She is currently taking classes specializing in communications within community organizations and the nonprofit sector. She also works to utilize effective communication methods between SharedGeo, its clients, and its supporters. 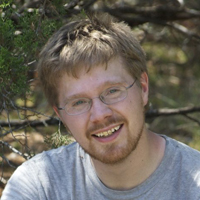 David Bitner (FOSS4G NA Project) – As owner of dbSpatial LLC specializing in the development of solutions involving open data, open standards, and Open Source software, David is able to contribute a diverse skill set to SharedGeo’s efforts. 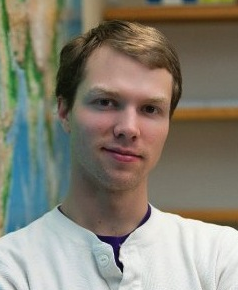 In addition, David also has over a decade of experience in GIS and Remote Sensing at the Federal and Regional levels. David is currently Chair of the MetroGIS Coordinating Committee, a member of the Board of Directors of the Sahana Software Foundation, Vice President for Geodata at the Open Source Geospatial Foundation, and Chair of the Free and Open Source Software for Geospatial North America Conference (FOSS4G NA). David has a BA in Geology from Carleton College and an MS in Forestry with a major in GIS/Remote Sensing and minor in Water Resources from the University of Minnesota. David was the recipient of MN GIS/LIS Consortium 2013 Polaris Achievement Award. Mike Dolbow (U.S. National Grid Mashup Project) – Mike supervises a team of application developers and support specialists for the State of Minnesota. He has developed and supported a wide variety of web mapping applications since 2005. He holds a Bachelor’s degree in Forestry from the University of New Hampshire, and has worked with geospatial technologies for over fifteen years. In 2011, he was the recipient of the Minnesota GIS/LIS Consortium’s prestigious Polaris Leadership Award. Alison Slaats (Great Lakes Restoration Initiative Project) – Alison has an MS in Geography specializing in GIS from the University of South Carolina and has worked in the Minnesota GIS community for over 15 years for organizations including Esri, the Metropolitan Council, Envision Minnesota, the University of Minnesota and the Minnesota Department of Agriculture. In her work at SharedGeo, Alison really enjoys having the opportunity to work with Open Source solutions. 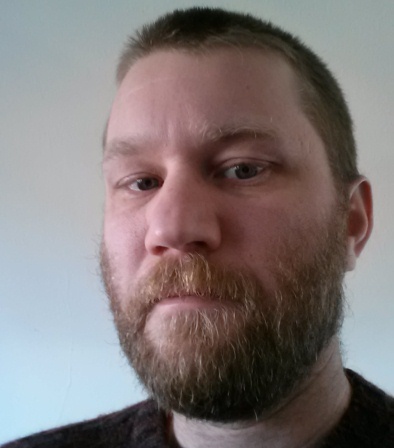 James Klassen – Jim works as SharedGeo’s chief programmer where he specializes in Open Source solutions. Jim completed his Masters degree in the Natural Resources Science and Management program at the University of Minnesota (U of M) in spring 2013, where his thesis explored automated extraction of stereo anaglyphs and 3D point clouds from aerial imagery. Jim worked at City of St. Paul for several years and was one of the creators of the Open Source web map tool GeoMOOSE. Stephen Woodbridge – Stephen has over 30 years in software development, marketing and customer relations around the world. 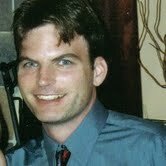 For the last 11 years, Stephen has been focused on building geospatial tools and is actively involved with Open Source Geospatial Foundation (OSGeo) and Open Source projects. Stephen is on the project steering committees for Mapserver, PAGC, and pgRouting. Stephen strengths are developing server side tools like mapping, geocoding, reverse geocoding, driving directions and database applications and helping to glue these services into web-based applications. David Bendickson – David is a geology major from North Dakota State University and is a warrant officer in the Minnesota National Guard. He has nearly 20 years of service, both active duty and with the Minnesota National Guard. In 2009-2010 his GIS section provided GIS support to 9 of 18 provinces in Iraq. He is also the Common Operating Picture Manager for the Minnesota National Guard’s Joint Operations Center, the Emergency Operations Center for the Minnesota National Guard. David has also worked as a high school science teacher working with at-risk youth. In addition to having a Minnesota Emergency Management Certificate, David has worked with CAMEO and HAZUS. Ken Pekarek – Founder of GIS4schools LLC, Ken specializes in developing custom training courses for novice uses. GIS4schools is partnering with SharedGeo to expand common outreach efforts. Ken has over 20 years experience developing easy-to-use mapping systems, developing custom training courses and training non-GIS savvy professionals. 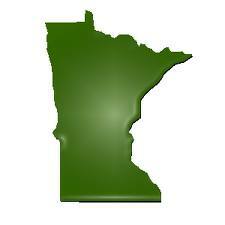 For the last eight years, Minnesota Department of Natural Resources has contracted with Ken to coordinate the Firewise in the Classroom Project. In this role, Ken has introduced GIS/GPS technologies to over 9,000 students and provided on-call mobile technical assistance to teachers implementing the Firewise curriculum. Ken has a BA in Landscape Architecture from the University of Minnesota, is a registered Landscape Architect. He is also recipient of the MN GIS/LIS Consortium 2005 Lifetime Achievement Award and 2006 Governor’s Council Certificate of Commendation. Zack Rethlake – Since starting his firefighting career as a member of the U.S. Forest Service Heber, Arizona “Hotshot” crew in 1995, Zack’s diverse career has given him the opportunity to gain extensive experience in all facets of firefighting and related education and instruction. Currently rated as a National Response Framework (NRF) Incident Commander, he has fought fires or responded to natural disasters in 19 states. In addition, he has completed a wide variety of courses offered by the U.S. Fire Administration’s National Fire Academy, National Wildfire Coordinating Group (NWCG) and Federal Emergency Management Agency (FEMA). During recent tenure as the Minnesota Department of Natural Resources lead firefighter for the Twin Cities metro, Zack served as the subject matter expert on the Wildland Urban Interface (WUI) for the largest metro region in the state. In this capacity, he worked closely with numerous local fire departments on wildfire suppression activities, and provided instruction on structural and wildland fires. Minnesota Geospatial Community – Through a close working relationship with the renowned Minnesota geospatial community, SharedGeo is able to add expertise as needed to meet project demands.